It is considered to be part of Safari Valley which is the most developed and populated area. It consists of 10 marla residential plots, which is the plot size found nowhere else in Safari Valley. It is located close to Overseas Enclave and Defence Villas with easy entry and exit points. It is a small block with limited plots and it comprises just 10 lanes which are 50ft wide. This block is fully developed and few houses are already built where people are living. It has easy access to some major commercial areas of Bahria Town like Rafi Commercial, Spring North Commercial, Hub Commercila, Linear Commercial and DHA Business Bay Commercial. 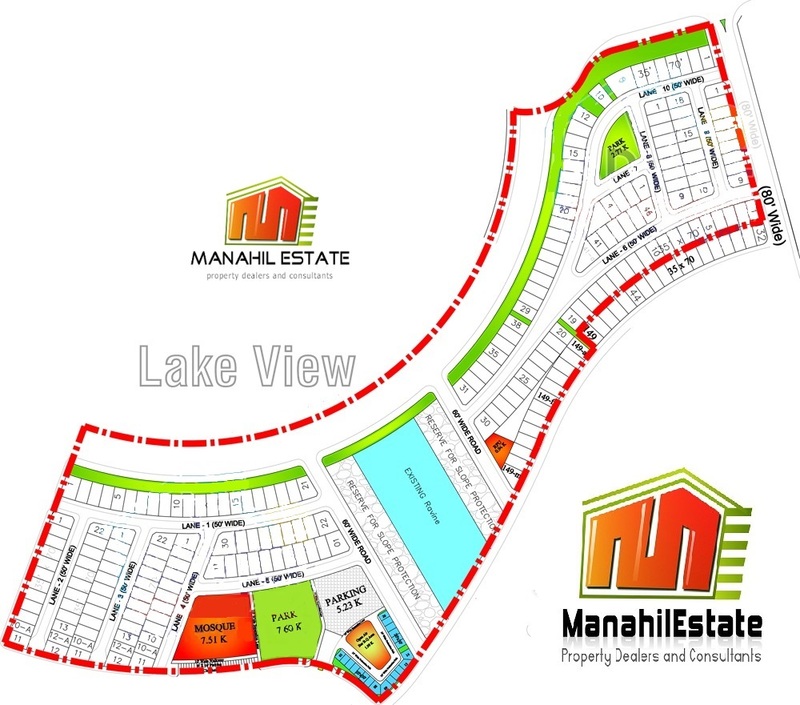 10 marla plot prices in Lake View Block normally range from 55 lacs up to 70+ lacs depending on plot location, category and features. There are some plots with extra land, especially corner plots, which normally cost above 80 lacs. This is undoubtedly an expensive block but it doesn’t lose its value and demand due to its location. Find attached the layout map of Eden Lake View Block below, you can click on the image to enlarge. Lake View Block may not have much juice left for investors in short term, however it is worth keeping a plot in Lake View Block as this area is one of the entry points of Safari Valley so demand will keep increasing over time with future developments. For residence, this block is recommended due to the number of features stated above. If you need further information on Lake View Block, feel free to contact us for more details and free consultancy.